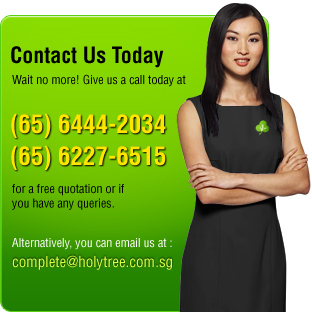 For over 10 years Complete Services has been delivering the foremost cleaning services in Singapore. We offer a plethora of services that have you covered, whether you want a frequent weekly cleaner for your private residence or a troupe of office cleaners for you commercial space. Our cleaning services are extensive. On top of the usual services, we provide an array of building maintenance that includes cleaning of carpets and facades as well as toilet steam extraction. These cleaning services are delivered by a team of passionate and dedicated staff who share our experience. Our National Skills Recognition System professionals clean to the highest industry standard and take pride in reinvigorating rooms. What’s more, all projects are overseen my highly reputable management team who excel in providing superior results. We have consistently satisfied clients from a vast range of industries, having delivered unrivalled building cleaning services for banks, restaurants, offices, hospitals, hotels, schools and factories. As an adaptable and versatile cleaning service we are sure to have a solution for you. Don’t hesitate to contact us today and enjoy our fantastic cleaning and maintenance services that assure that your building is kept in its optimum condition. Copyright 2010, Complete Services Pte Ltd. All rights reserved.